Origin Prunus persica var. 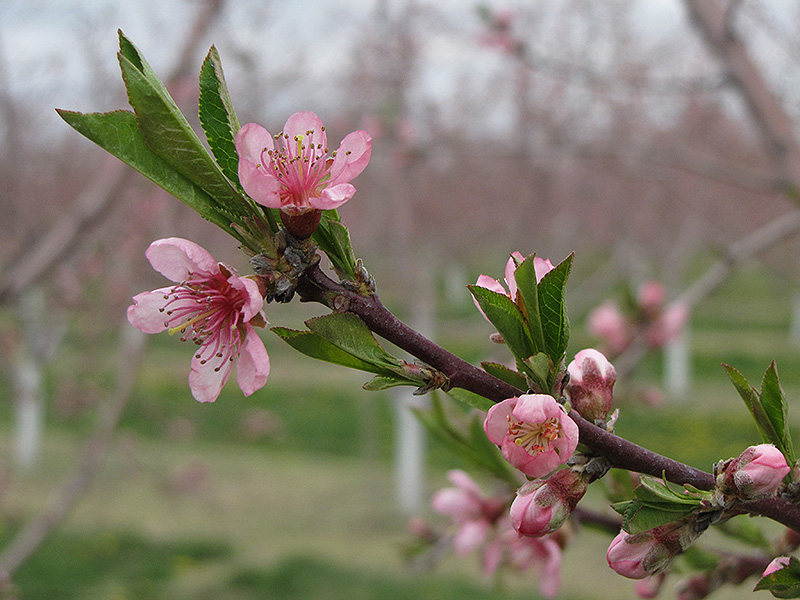 nucipersica Nectarine is grown throughout the warmer temperate regions of both Northern and Southern hemispheres. Nectarines, scientifically known as Prunus persica var. 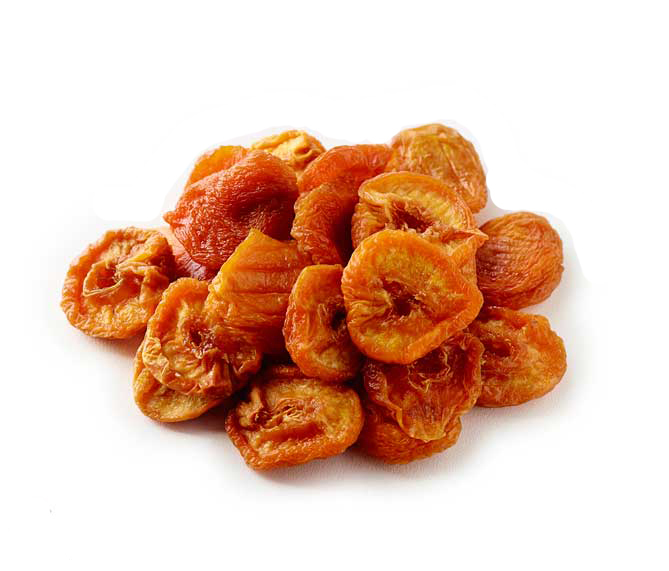 nucipersica, are commonly known as stone fruits. 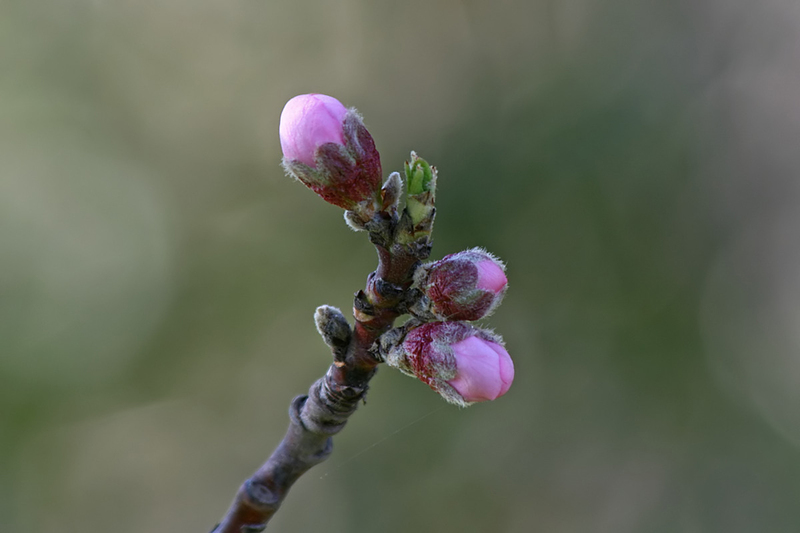 It is a small tree which belongs to rose family Rosaceae and is a cultivated variety of peach. It bears fruits similar to peaches but is smooth and lacks hairy fuzzy feature of peaches. 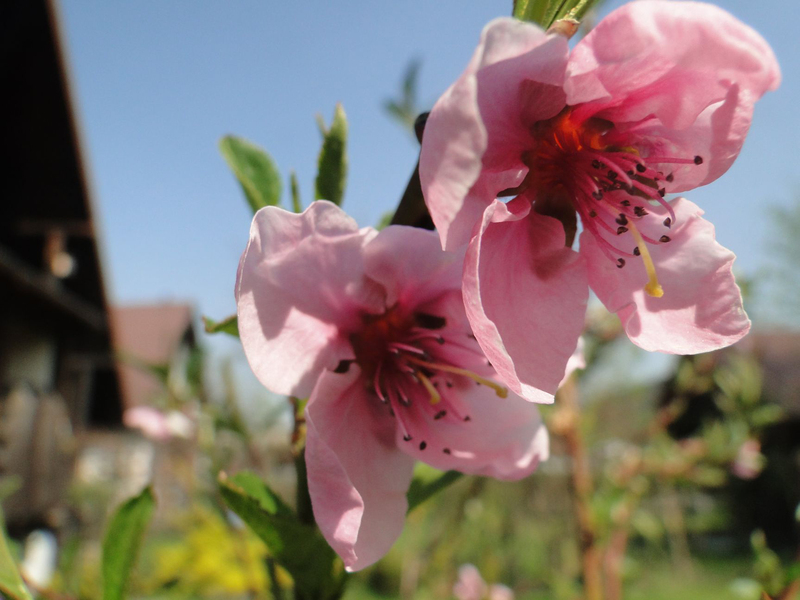 These days, Nectarine is cultivated in temperate regions worldwide for its flower and edible fruits. 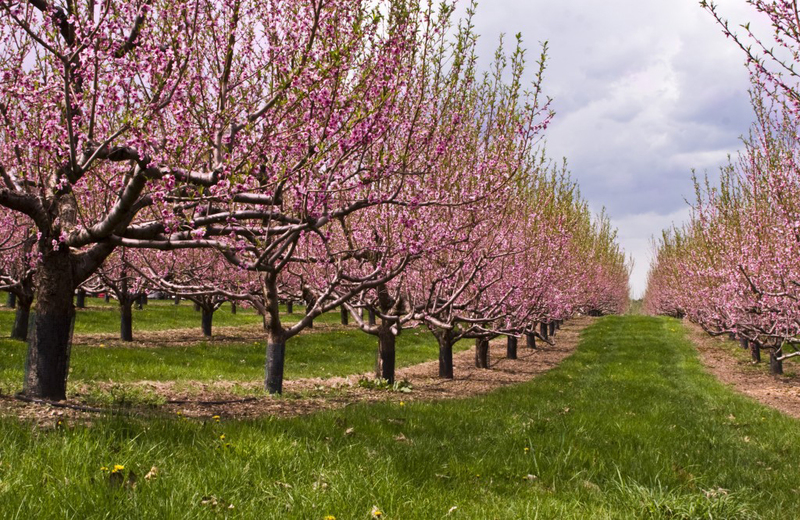 Since the white nectarine cultivars started in early 1990s in U.S., the cultivation and popularity increased. P. persica is inherent to China and have long history of cultivation which dates back to 10th century B.C. Nectarines appeared more recent origin and is not mentioned in botanical accounts till 1500s. The word nectarine refers hairless peach. The varieties which are cultivated as P. persica var. nucipersica produce only smooth nectarines. 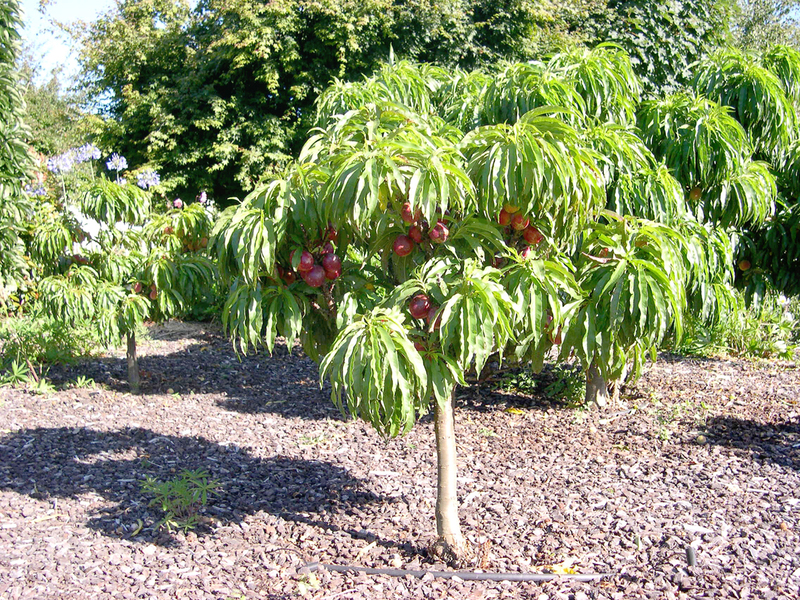 The trees of nectarine have similar appearance to peach trees having hairless, long, elliptic or oblong to lanceolate leaves 7 to 15 cm × 2 to 3.5 cm. Flowers are five petalled, pink which occurs singly or in 2 or 3 clusters occasionally. Fruit is a fleshy drupe with smooth skin and measures 5 to 7 cm diameter with stony and flattened pit. Nectarines are classified into two groups: clingstone and freestone. The variety freestone involves those fruits with pulp that separates effortlessly from seed and used for fresh consumption. Clingstone varieties are the fruit in which the flesh holds the pit tightly and is used for canning purposes. On the basis of cultivars, the flesh may have shades of deep yellow or creamy white of Nectarine fruit with white, red, pink or yellow skin. 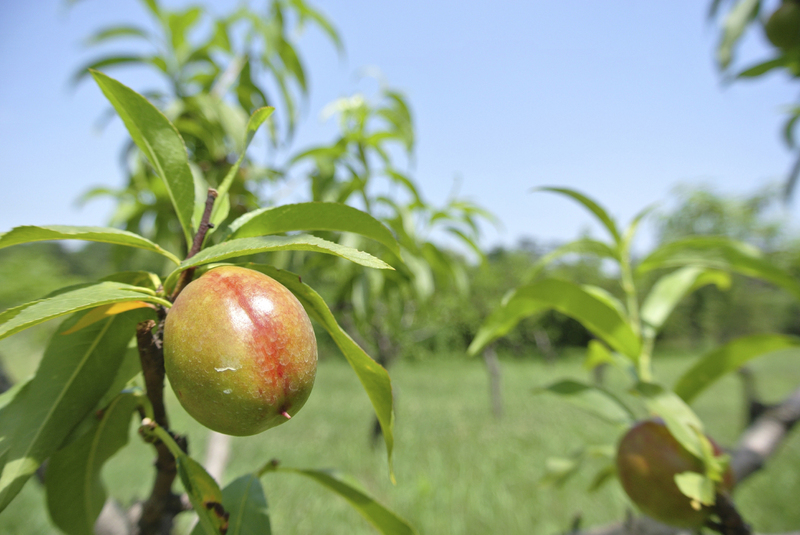 Though the history of Nectarine is unclear; the first recorded is mentioned in English from 1616. 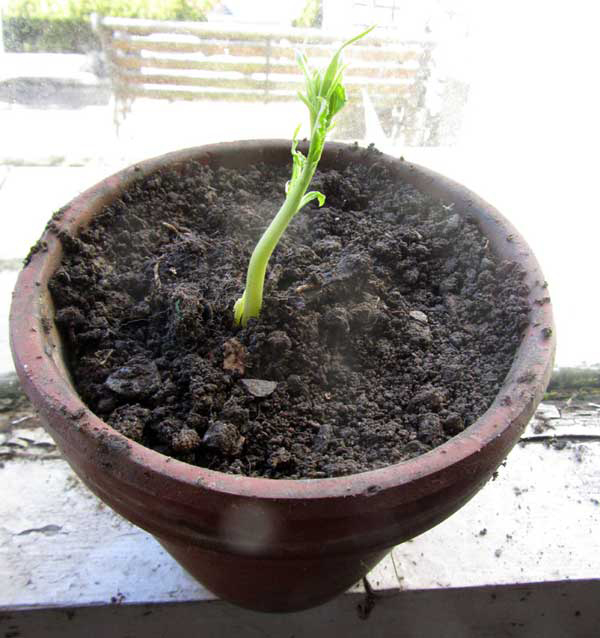 But probably they had been grown much earlier in Central and Eastern Asia which is the native range of Peach. One source declared that Nectarines were introduced in 1906 by David Fairchild of the Department of Agriculture to the United States. The number of colonial-era newspaper articles references that Nectarines being grown prior to the Revolutionary War in the United States. Nectarine is globose to subglobose drupe which is grow in small, deciduous and vigorous tree which reaches 3 to 7 meters high with spreading crown of 3 meters and dark brown scabrous bark. Petioles are longitudinally grooved having reniform nectaries and is 10 to 15 mm. 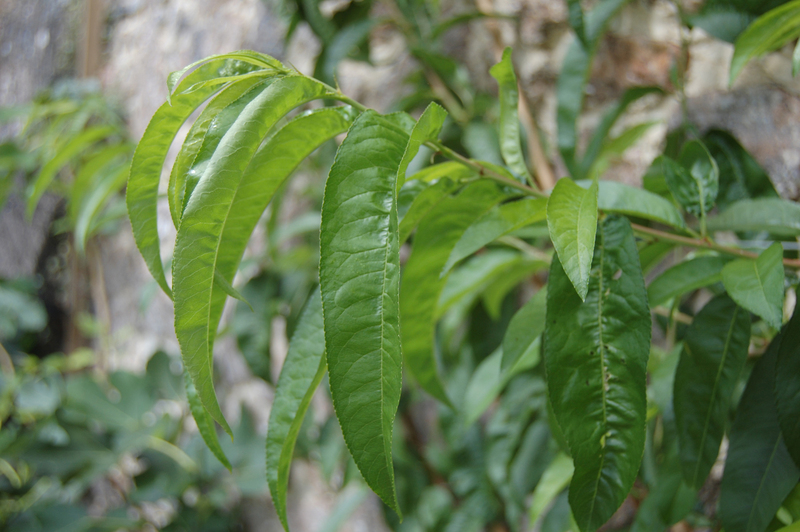 Leaves are simple, alternate, oblong-lanceolate to elliptic-lanceolate measuring 7 to 15 × 2 to 3.5 cm with acuminate apex, cuneate base, finely serrate or serrulate margin and both surfaces are glabrous. Flowers are solitary and are 2 to 3.5 cm in diameter. Sepals are ovate to oblong with upper surface glabrous and lower surface pubescent. Petals are usually white or pink and are arranged alternately to sepals. Drupe is globose to subglobose, about 5 to 7 cm diameter and is glossy golden yellow with large blushes of red. Fruit have thin and smooth skin which encloses fleshy, juicy sweet to acid sweet mesocarp. The pit is ellipsoid to suborbicular and is compressed on both sides surrounding a single and ovate seed. Nectarine is a nutrient rich and low calorie fruit which is loaded with healthy components. It offers wide range of antioxidants and phenolic compounds with dietary fiber. Nectarines contains Vitamin B1, Vitamin A, Vitamin B3, Vitamin B2, Vitamin B6, pantothenic acid, Vitamin C, folate, Vitamin K and Vitamin E. It is an excellent source of potassium as well as other minerals such as magnesium, phosphorus and calcium. Nectarines provide better cellular function and improvement in digestive and cardiovascular health. It has antioxidant defense mechanism that effectively combats health conditions such as obesity associated complications, prevent cancer and macular degeneration. 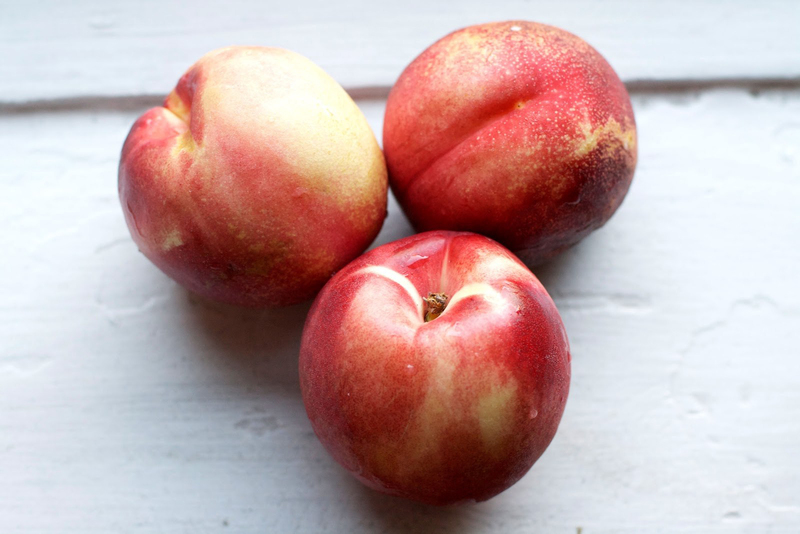 Add Nectarine to the regular diet to strengthen immune system and promote youthful skin. Nectarines are packed with antioxidant activities with great amounts of vitamin C content, polyphenol and carotenoids such as cryptoxanthin and beta-carotene. The skin of this fruit possesses high concentration of such compounds in comparison to the pulp so wash it properly and consume it unpeeled. These antioxidants neutralize damage caused by free radicals as well as damaging effects of oxygen free molecules. Nectarine is helpful for treating obesity and its related complications. The studies shows that stone fruits such as Nectarines possess bioactive compounds such as catechin, anthocyanins, quercitin derivatives and chlorogenic acid that have ability to counteract obesity related health condition such as cardiac disorders and diabetes. The anti-diabetic and anti-obesity properties acts against metabolic syndrome and lowers oxidation of bad cholesterol which is included in obesity associated heart diseases. Nectarines comprises of lutein which is a vital nutrient that promotes eye health and lowers the chanes of diseases like age related macular degeneration. Research shows that lutein is a powerful antioxidant which helps to lower the chances of nuclear cataract. Lutein is found in macular pigmentation of eye and supports to protect retinal tissues from damage caused due to high wavelength light and oxidative stress. Moreover, this fruit has beta carotene which promotes synthesis of Vitamin A and assigns healthy eyesight by preventing diseases such as xeropthalmia and blindness. Nectarines have potassium which is required for proper cellular and nerve functions. It helps in protein synthesis, maintain electrolyte balance, functioning of muscles, supports metabolic processes and utilize carbohydrates. 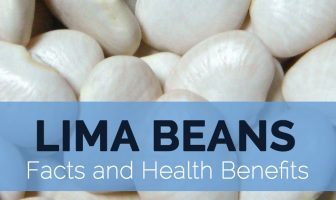 The deficiency of potassium results in disorders such as hypokalemia that may lower muscular health and might cause cardiac arrthymia. The regular intake of Nectarines helps to maintain cardiovascular health due to the presence of antioxidants. Nectarine contains anthocyanins and chlorogenic acid which provides inhibitory action against oxidation of LDL cholesterol, prevents arteries hardening and promotes proper circulation of human platelets. It has flavonoids that prevents increase in aggregation of platelets and lower the chances of developing atherosclerosis. Nectarines possess chlorogenic acid which is a natural compound that provides numerous health benefits such as prevention of tumors and cancers such as colon cancer. Studies suggest that chlorogenic acid possess chemopreventive properties which inhibit proliferation of colon carcinogenesis. Studies show that beta carotene found in Rosaceae botanical group that includes Nectarine in providing protection against lung cancer. Nectarines support to promote immune defense mechanism of the body. It is an abundant source of antioxidants such as zinc and vitamin C as well as other protective phenolic components in the fruit which promotes the ability of the body to counteract various infections by promoting synthesis of antibodies. It lowers the chances and intensity of diseases such as common cold and malaria and speeds up the recovery process of wounds as well as other illnesses. This fruit contains bioflavonoids which help to maintain skin health. Nectarine has anti-oxidant components such as lutein, vitamin C and beta carotene that provides defensive effect. Beta carotene exerts protective action against skin damage caused due to exposure to UV radiations. Vitamin C assists in collagen synthesis that assists to tone tissues and maintains youthfulness of skin. 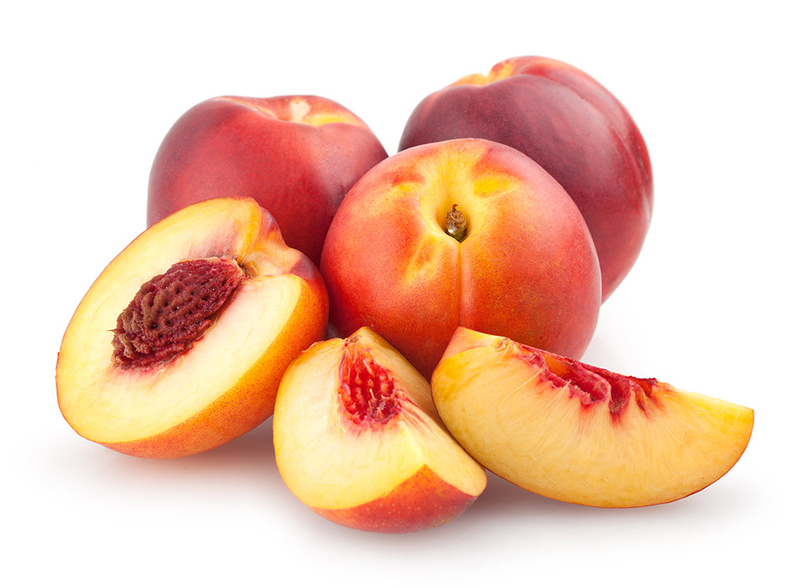 Moreover, study found the photo-protective effect of lutein found in Nectarine which helps to guard skin from UV induced erythema and free radical damage. An alkaline nature and the presence of dietary fiber in Nectarine help to maintain digestive and overall health. 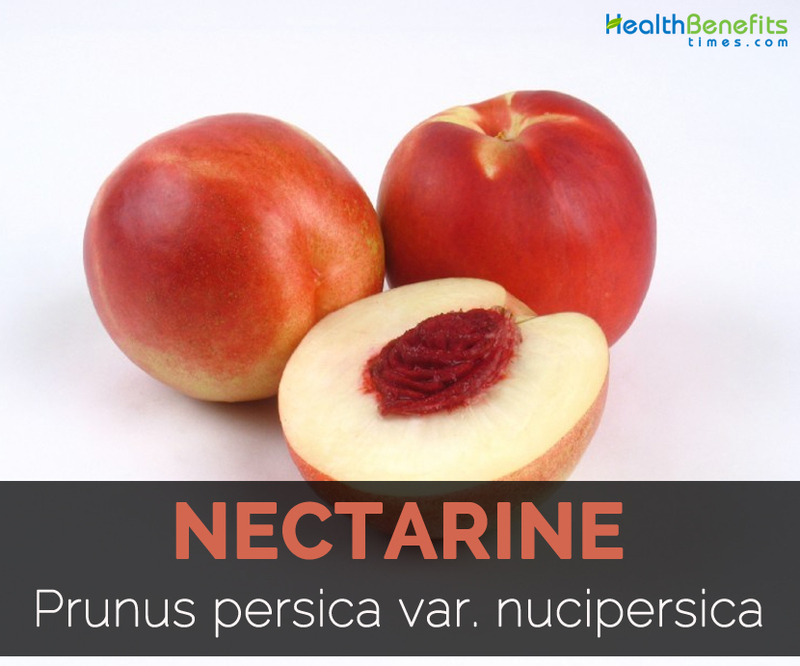 Nectarine has fiber content which absorbs water and adds bulk to the diet and also regulates bowel movements. It prevents the health problems such as constipation, gastritis and ulcers. It also prevents binding of toxins to colon walls and detoxifies the body by eliminating toxins from the body. Expectant mothers could be benefited from the minerals and vitamins found in Nectarines especially due to the presence of folate that helps to lower the chances of neural tube defects such as spina bifida. It contributes overall health of the mother as well as baby. The abundant source of potassium that helps to prevent muscle cramps and maintains energy levels by building up proteins. Fiber maintains digestive health and Vitamin C assist in proper development and growth of teeth, muscles and blood vessels of the growing baby. Nectarines are a great source of phosphorus which is an essential mineral that plays a vital role in normal functioning of tissues and cells. Phosphorus assists in forming strong teeth and bones and supports in metabolism of fats and carbohydrates. It supports maintaining and repairing cells and also assists in renal functioning, normal heart rate, muscular contraction and nerve communication. Moreover, this fruit has iron in it which assists in formation of hemoglobin in red blood cells and contributes growth and development. Use it internally for treating whooping cough, gastritis, bronchitis and cough. It provides relief from morning sickness and vomiting during pregnancy. The leaves powder is used for healing sores and wounds. Use it internally for oedema, constipation, asthma, coughs and menstrual problems. Root bark is used for treating jaundice and dropsy. It helps to prevent oral and cavity cancer. It lowers the chances of platelet aggregation and reduces odds of developing atherosclerosis. It promotes eye health, lowers the chances of macular degeneration and prevents eye diseases. It also facilitates digestion as well as bowel movement. It prevents the digestive conditions such as ulcers, gastritis and constipation. Nectarine seeds contains small amounts of cyanogens so when ingested it may get metabolized to cyanide. The excess ingestion causes cyanide poisoning. The seeds may cause choking problems in children. It may cause allergies such as itchy skin, low vision, swelling (eyelids, lips and face), itching (in mouth and throat), respiratory and digestive symptoms (runny nose, diarrhea, vomiting, and stomach pain). It might cause anaphylaxis which is the most severe allergy. Ripe fruit are consumed fresh. Fruits are used in pies, jams, yogurts, ice creams, shakes, smoothies, cakes and jams. Dry the fruits and use it later. Add the flowers to salad or used it as a garnish. Flowers can be brewed into tea. Seed kernels are consumed raw or cooked. It might trigger symptoms in patients with irritable bowel syndrome. 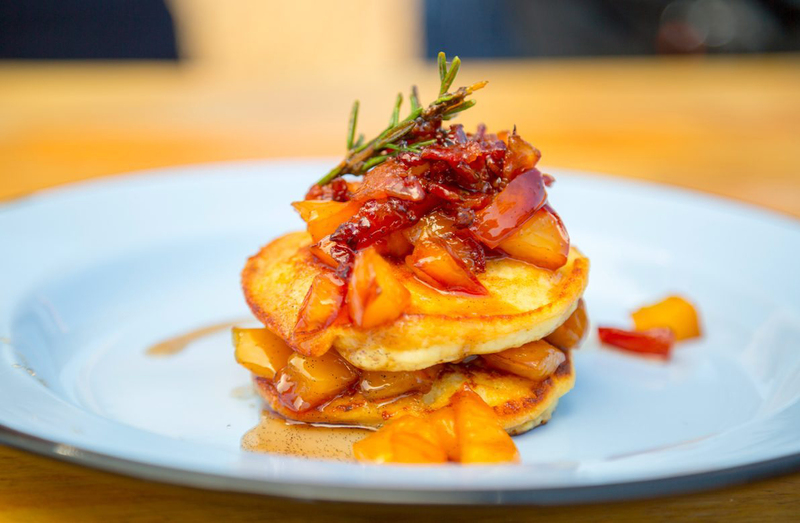 The people who are sensitive to foods rich in fructans should limit the intake of Nectarines. The slices are added to desserts and fruit salads. Blanch Nectarines in boiling water and then peel off the skin. Eliminate the stones and cut the fruits into slices. Combine the slices with sugar and raspberries. Put it in a baking dish. Mix butter, flour, brown sugar, cinnamon, nutmeg, salt and oats. Spread it on the top of the fruit and bake for about 45 to 60 minutes in the preheated oven. Mix nectarines, red bell peppers, onions, jalapeno peppers and fresh cilantro in a bowl. Then add salt, lime juice, olive oil and cayenne pepper and stir. Cover bowl with a plastic wrap. Then refrigerate bowl for about 30 minutes to an hour. This will help to develop the flavors. Stir it in the black pepper. Add an additional pinch of salt if necessary. Cook all the ingredients on mild heat for about 30 minutes. Then add the spice of your choice such as extracts of ginger or cinnamon. Glance the foam off surface. 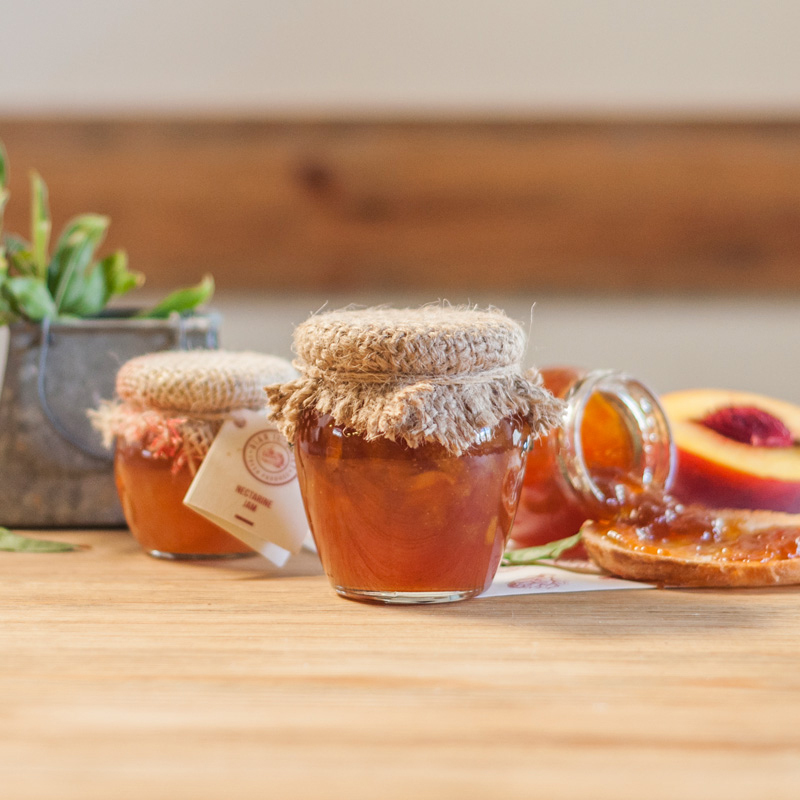 Put the jam into sterilized glass jars. Process it in a boiling water bath for about 10 minutes. Nectarines are also called shaved peaches due to their smooth skin. Nectarines are not a cross between peaches and plums. In fact, they are a type of peach. 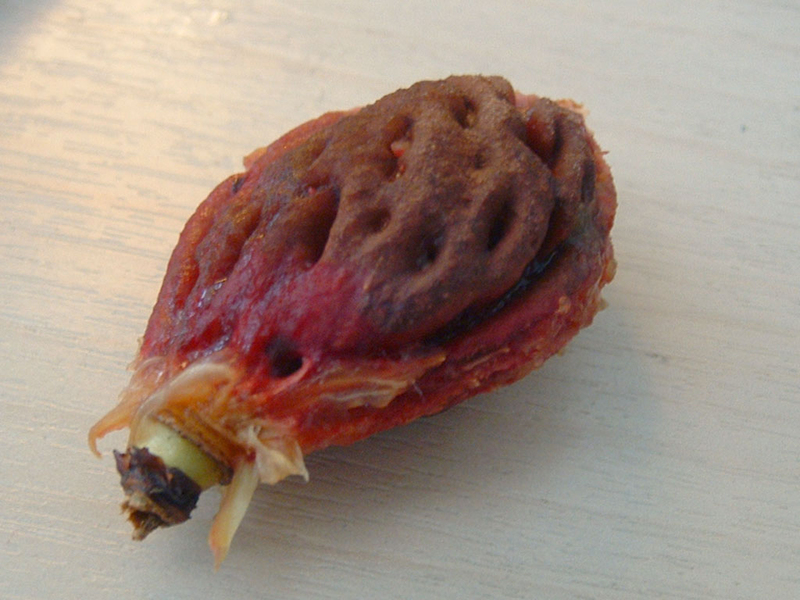 It is a stonefruit as it has large seed in middle. 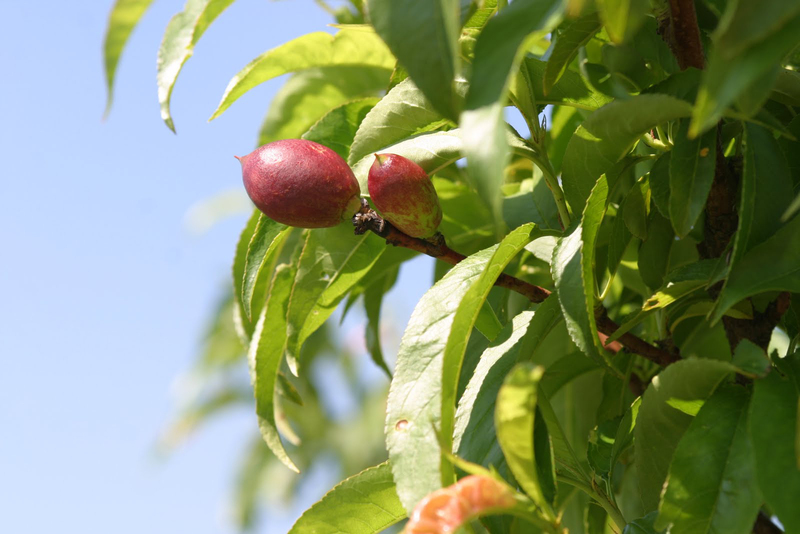 As Nectarines are closely related to peach, sometimes it is grown on peach trees or vice-versa. The trees are cultivated in warm temperature areas. Native Nectarine is grown throughout the warmer temperate regions of both Northern and Southern hemispheres. Calories in 1 cup slices (143 g) 63 Kcal. Persica vulgaris Mill. var. nectarina (Aiton) Holub. Prunus persica var. nectarina (Aiton.) Maxim. Calories 63 Kcal. Calories from Fat 4.14 Kcal.